Jon Peddie Research (JPR) has released its latest quarterly report on the State of the graphics card market. In an interesting turn of events, the headline is that Q1 2018 was a record breaking quarter for Add-in-Boards (AiBs). The AiB market grew 6.4 per cent compared to the previous quarter where the 10-year seasonal average is minus 4.1 per cent. At the same time desktop PC sales decreased by a significant amount, 24.5 per cent. Already we are seeing graphics card prices dropping to MSRP or near prices (especially those from the Green Team). Further pressure is likely to come, as the market readies for next generation graphics cards. JPR notes that in a traditional Q2 in the AiB market there is a "significant drop in Q2 as OEMs and the channel deplete inventory before the summer months". 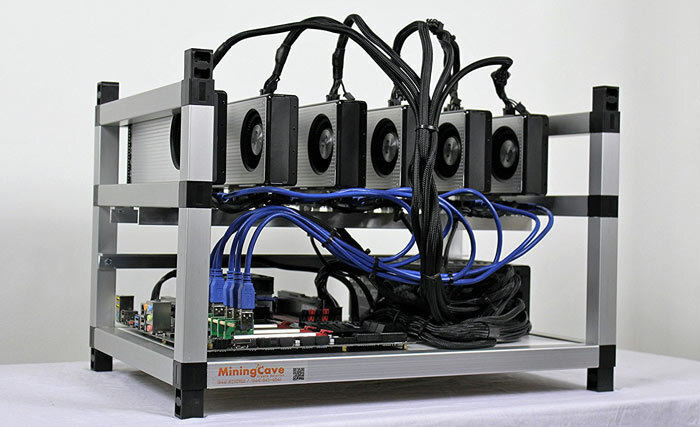 This will be made more severe by the cryptomining demand downturn. Q3 is traditionally a restocking month and when early adopters can get new AiBs and then Q4 is where new AiB sales take off in the run up to Xmas. Over $5.0 billion dollars of AIBs shipped in the quarter. Quarter-to-quarter graphics board shipments increased 6.4 per cent (with an increase of 66.4 per cent year-to-year). 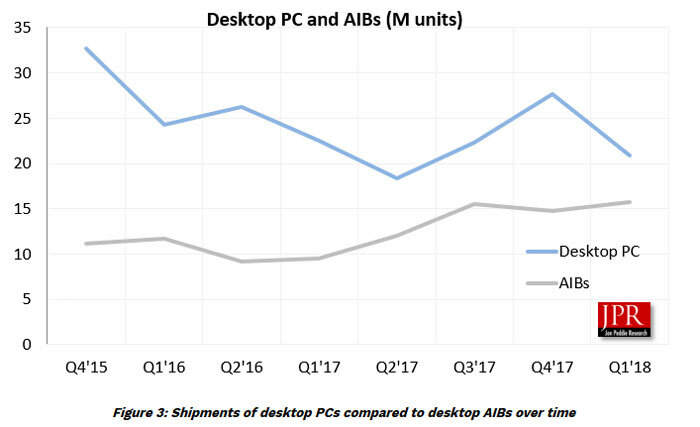 Quarter-to-quarter PC shipments were down 4.5 per cent (with a 7.3 per cent decline year-to-year). PC gaming momentum continues to build and eSports had a positive impact but VR is yet to be seen as a driving force. If you are interested in more data from JPR, you can head on over to the site and purchase the full 111 page market report, as summarised in its blog post. desktop PC sales decreased by a significant amount, 24.5 per cent. Not a shock when graphics cards and ram shot up in price taking system prices with them. Exactly. I myself need a new rig but the combo of both high ram and gpu prices means I'm not going to bother. After many years of building custom machines, I concluded that the best time (at least for me) to build a new rig, is every-time there is a RAM generation change. DDR vs DDR2, DDR2 vs DDR3, DDR3 vs DDR4 and so on…I'm running DDR4 now, so I'll wait until DDR5 comes around. This way you have more time to shop around and can avoid these crazy price jumps.